Cannot order with message "Sorry, access to this product is limited ..."
recently I applied for the beta access and got the email with an access link. Unfortunately, I cannot complete the required order. I verified that the logged in nichandle matches the one in the email. I'm not sure if this is a direct message (I clicked Reply in the corner of your reply, as I didn't notice any other way), but this is certainly not very important. 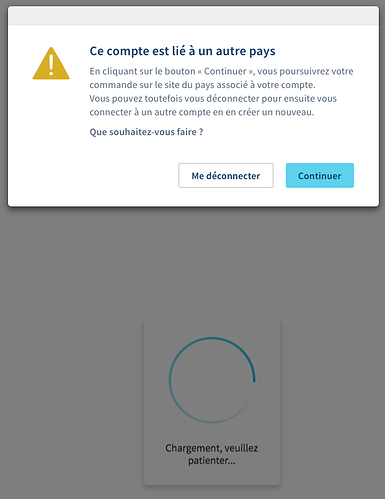 When you are shown the modal windows offering you to switch to you contry, click continue and you should move forard to the next step. thanks a lot for this. 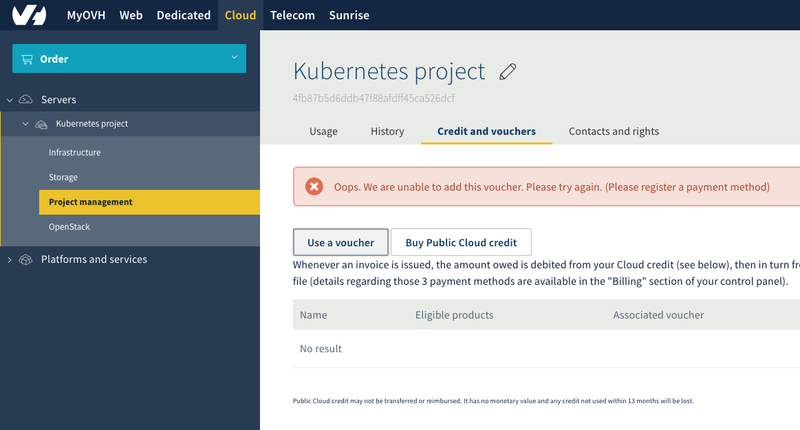 I confirm this is fixed for me and I successfully ordered and got Kubernetes. Yet this time I have trouble with adding the personal voucher I got in the initial "beta access granted" email. even though I have a payment method registered (Paypal).